Like gadgets? Got an extra 1500 euros lying around? 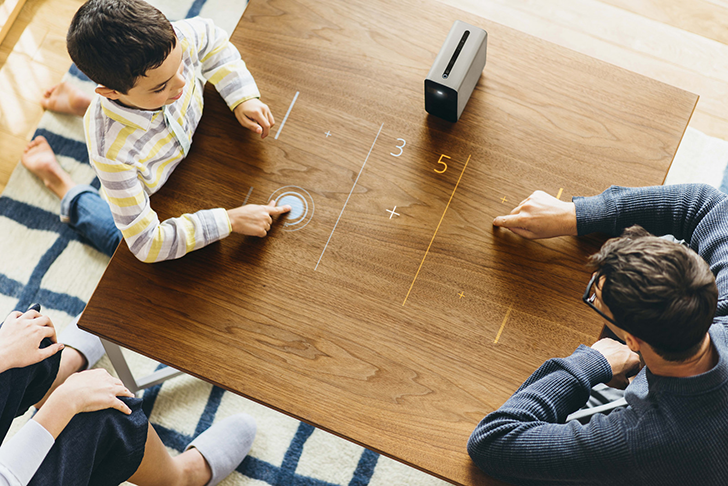 If you live in Europe, Sony has just the thing for you: the Xperia Touch. This fancy little projector was first announced at Mobile World Congress 2016 without a name or many details, but it took big steps towards becoming a legitimate product during this year's MWC. And now, you can order one if you live in one of seven European countries. The Xperia Touch is an Android 7.0 Nougat-powered projector that can project a 23" 768p touchscreen onto any flat surface. An onboard 13MP Exmor RS 60fps camera and infrared sensors enable it to see your gestures and taps, and it automatically turns on when people approach it. Apps and games can be installed via the Play Store, and PlayStation 4 Remote Play is supported. All these features will cost you a pretty penny; the Xperia Touch will run you €1499.99 (£1,299.99 in the UK). The Touch will be initially available in the UK, France, Spain, Sweden, Norway, Denmark, and Finland, but more countries will come later. While the listings are up, you'll have to wait around three days before they'll begin to ship. But hey, if you want to feel like you're living in the future or just have too much cash lying around, the Touch may be worth checking out.